A couple of weeks ago, late one Friday evening, I was perusing the shelves in SOAS Library when I made an unexpected find of a book with a personal family connection. I was there searching out some books for an essay I’m currently writing on China’s Boxer Uprising of 1900. Having found the specific titles I was looking for, my eye was scanning along the book spines to see if there might be any other titles of interest, when my attention was caught by the faded lettering on a slender spine sandwiched between two heftier tomes, the book was: China and the Boxers by the Rev. Z. Chas. 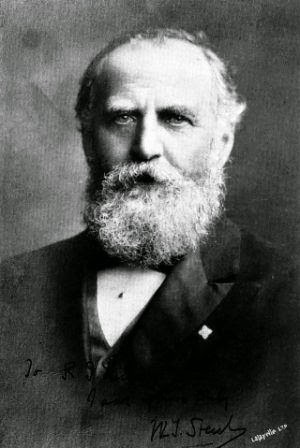 Beals (1901). My happy find wasn’t so much that the book had been inscribed by the author, but rather the couple to whom he had inscribed it: "Mr & Mrs Paul King." Collateral relations of mine, whom I’ve written about on this blog before (see here). 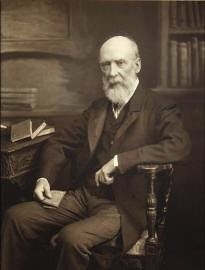 On his retirement, after a career of almost 50 years, Paul Henry King had been a senior member of the Chinese Maritime Customs Service – he and his wife, Veronica, were also both well-known writers on China in their time. This particular copy of Beals' book was evidently a gift from one 'China-Hand' to another. There are a couple of date stamp tabs glued into the book and the oldest of these seems to indicate that the book was donated to SOAS sometime before the end of 1947. Nearly half a century after the events it describes. In light of this unexpected discovery I now can’t help looking at the many bookstacks in SOAS Library devoted to China and wonder if any of the other books shelved there might also have been donated by the Kings? A curious mix of Western 'mea culpa' allied with an unapologetic reassertion of the colonialist's raison d'être. 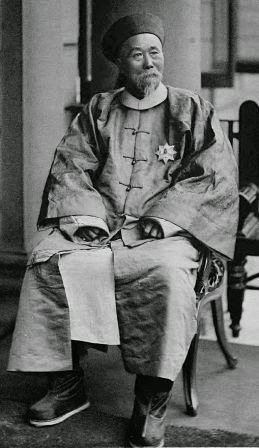 The period of the Boxer Uprising, however, brought Paul King to the notice of one of the most revered and respected statesmen in China’s history – Li Hung-chang (Li Hong-zhang). 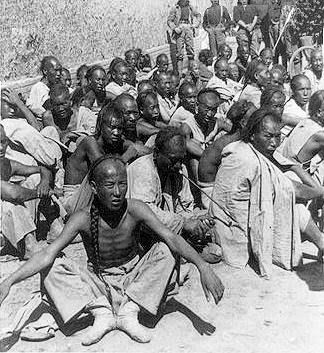 When all means of communication with the Legations in Peking were lost in July 1900, as the Boxers and Imperial troops laid siege, the worst was feared for those trapped within. It was generally assumed that a massacre had taken place. An obituary for Sir Robert Hart, the chief of the Maritime Customs Service, even appeared in the newspapers back in London. 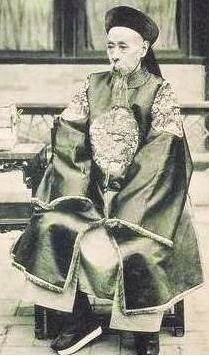 Li Hung-chang died in 1901, not long after he had represented the Imperial Chinese Government and overseen their part in the Boxer Peace Settlement; yet, curiously enough, he makes a second – somewhat supernatural – appearance in Paul King’s memoir in the year 1910. 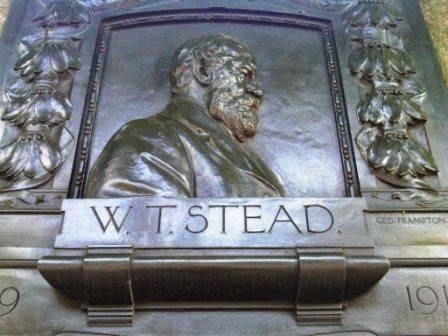 Paul and Veronica King were in London, on home leave at the time, attending one of W. T. Stead’s “Julia” séances. Gordon then said that Li had a difficulty in communicating with us, although he was actually present with him. The Psychic continued to speak and was apparently now in touch with Li. 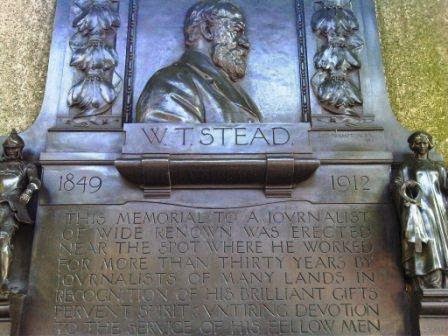 Not so long ago, rather like the chance discovery of Paul and Veronica King's copy of Beals’ book in SOAS Library, I happened to come across this bronze memorial plaque to W. T. Stead on the Victoria Embankment beside the River Thames in London (close to Temple Tube Station). 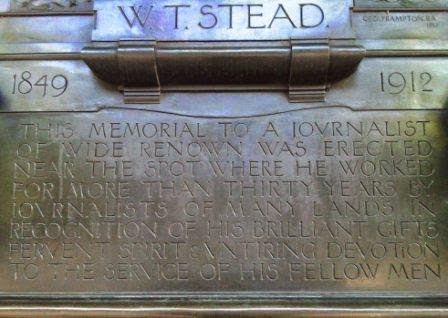 It was erected by his fellow journalists “in recognition of his brilliant gifts, fervent spirit, & untiring devotion to the service of his fellow men.” There is no word, nor hint - save perhaps for a small sailing boat set atop the globe in the figure of “Sympathy’s” hand - as to how Stead departed this life. 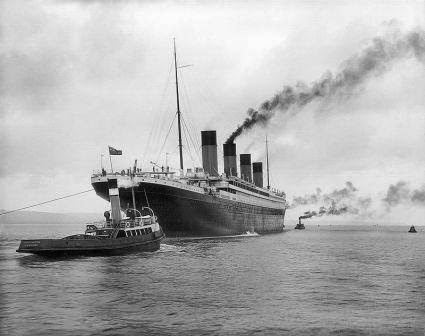 He was a passenger on board the RMS Titanic which sank in the freezing water of the mid-Atlantic on April 15th 1912 after colliding with an iceberg on its maiden voyage. An event which some believe he may have unconsciously predicted in one of his earlier writings (in 1886). 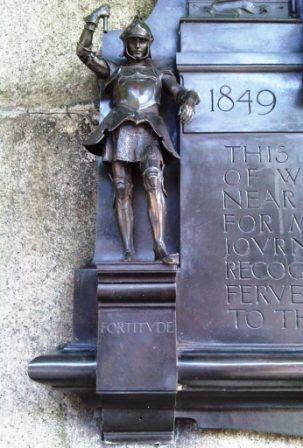 He was last seen clinging to a raft with John Jacob Astor IV. His body was never recovered. 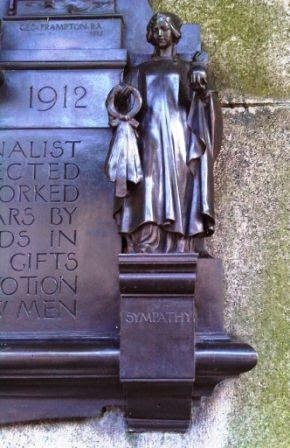 A copy of the London memorial also stands, with a different inscription, in New York’s Central Park. * Footnote: Unfortunately I have no idea what became of Paul King’s papers, he does mention keeping a diary in his memoir - I expect they’d make for fascinating and insightful reading. If anyone reading this might know anything concerning the whereabouts of Paul or Veronica King’s personal papers, whether or not they might perhaps have been preserved in an archive somewhere, please do let me know – I’d be most grateful to hear from you! 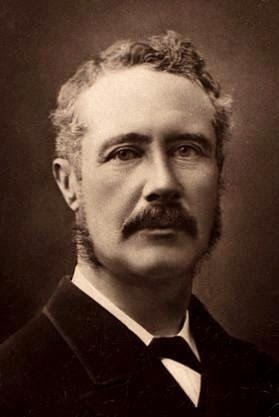 ** Footnote: Paul King's uncle (on his mother's side) "Jack", Colonel John Alexander Man Stuart (1841-1908), served in China under General Gordon in the 'Ever Victorious Army' which helped to put an end to the Taiping Rebellion in 1864. 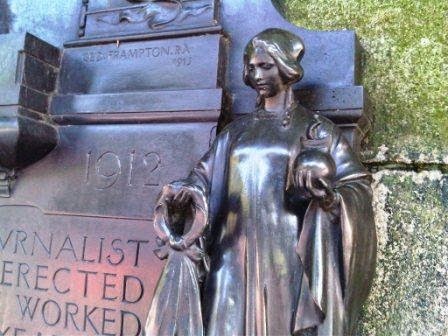 Jack Man Stuart was also himself in the Chinese Maritime Customs Service, acting as Private Secretary to both Horatio Nelson Lay and Sir Robert Hart. He later went on to become Commandant of Local Forces in Trinidad and Tobago, possibly also serving for a time as Acting Governor there.